Create local password-protected wallet (make sure your are safe & no one is watching). Store only a reasonable amount for daily use. Never give this to anyone, they can steal your funds. QR Code Scanner ready, please scan a COLX private key! Please enter your private key (hexa encoded or WIF) to import it into a Keystore Wallet. Once created, secure it with a password! MyColxWallet.org is NOT an online wallet: This site NEVER stores or uses your private keys or wallet. All funds are 100% under your control and local. You can use this website offline, only for sending COLX you need to communicate with the blockchain! Open source, non-profit and free to use. 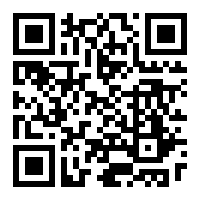 QR Code Scanner ready, please scan a COLX address! MyColxWallet.org does not hold your keys for you. We cannot access accounts, recover keys, nor reset passwords. Protect your keys! You are responsible for your security.